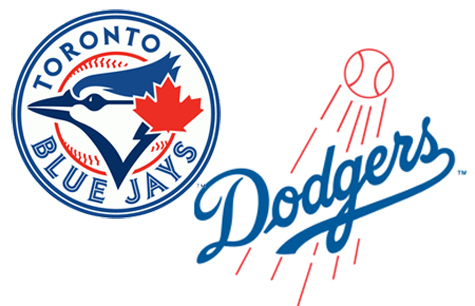 When it comes to baseball teams, there could not not be two organizations that are further apart on the spectrum right now than the Toronto Blue Jays and the Los Angeles Dodgers. But it wasn’t all that long ago where both the Dodgers and Blue Jays were on an even keel. So what changed so suddenly? In a matter of mere months, the Dodgers front office has changed the entire culture of the team. As opposite as the Blue Jays and Dodgers appear to be on the surface, it actually turns out they have one big thing in common; money. Both organizations have a big financial backing, whether it’s in the form of Guggenheim Baseball Management or a multi-billion dollar communications conglomerate like Rogers. But when it comes to front office strategies, the two teams could not be more different. “We didn’t see a robust free agent market, and we didn’t see other trades … people weren’t giving us star players. We have to be aggressive for now in the short term, in the long term we remain dedicated to the goal of becoming a first class scouting and player development system. But I can’t come in to Los Angeles and ask these fans, with their historic connection to this franchise, to wait around five years for us to develop a farm system. We’re trying to add pieces because it’s a franchise whose fans have come to expect it and frankly deserve it. wouldn’t do the very same thing. now, because Stan Kasten was doing a great job of assuring fans that the Dodgers were doing everything in their power to win. Compare and contrast that with these comments made by Blue Jays president Paul Beeston last December, and these two presidents are clearly on completely different pages. In my eyes, actions speak louder than words. On numerous occasions, Paul Beeston has indicated the Blue Jays have the financial backing to increase payroll above $100 million … but it’s beginning to feel like he’s just paying us lip service. On the other hand, the Dodgers put their money where their mouth is. It’s only been three years since the Los Angeles Dodgers have been to the playoffs, and yet the front office feels like they they need to immediately restore the winning culture for the fans. It’s been nearly 20 years since the Blue Jays have made the playoffs, and yet there isn’t nearly the same sense of urgency. Yes, strides have been made in this new regime of the Blue Jays to improve the ball club from the ground up, but ultimately the results at the big league level have remained the same. This is where I’m torn as a fan; in one sense, I understand that building a perennial winner takes time and there’s no such thing as fast tracking to success. But on the other hand, I see what’s happening in LA and kind of wish it would happen in Toronto, too. I’m not an advocate of blowing money for the sake of blowing it, because I’m sure that’s one lesson that resonated after the J.P. Ricciardi era. But if the money is there to improve your team while still building the farm system, then why not do it? If the Blue Jays are just saving their cash for when they’re on the doorstep of contention, what if that time never comes? The club’s core players certainly aren’t getting younger, and contending for a playoff spot in the AL East isn’t getting any easier. actually much shorter than we realize. Again, I’m not insinuating that the Blue Jays go out there and spend frivolously or take on the kind of contracts that the Los Angeles Dodgers did. However, there’s nothing wrong with opening the pocketbook and spending a little cash to bolster the big league roster. If Paul Beeston and Alex Anthopoulos can continue to build up the farm system, field a contending big league team, and do it all while penny-pinching, then all the power to them. Unless the end game is an eventual return to the playoffs for the Blue Jays, fans could be left wondering if it was all for naught. But seriously, good post. I do agree and I do think something of that sort is coming over the off season. I think they have an eye to the fan base and the future. Realistically, I think the Blue Jays could get by without signing anybody in the offseason, and just plug a few holes with guys in the minors, etc. But that's "just getting by" and not contending. The immediate need is obviously starting pitching, but they could always upgrade on offense. I'm hoping signing David Ortiz could get the ball rolling in that department. This is a great post, Ian, and an excellent summary of how fans are thinking right now. The last couple of months have left a bad taste in our mouths, and there's a lot of questioning the direction the team is taking. Thanks, sir! The injuries are something that have taken their toll on the roster, and if anything I actually think the team is much weaker going into 2013 than 2012. This was a good year for the team to find out their stock in certain players, but they're going to need a couple of Major League ready guys to not only fill the gap, but to make the team a little better as well. Yeah I think this is how most rational Jays fans are feeling right now. Either this or pure rage and or despair. The other problem that compounds the issue is all the injuries. They'll make trades all that much harder to make. I think if Jose were healthy AA would be very tempted to move him this off season. Big off season for the Jays/Beeston/AA/Rogers. The attendance and TV ratings are up remarkably for a team that still didn't get into contention. If they don't make some big changes between now and April the buzz and goodwill may be gone. I stopped reading once you went back to what Beeston said last December. Wasn't it last week that he said the rebuild was over and it's time to push the major league club over the top? How is that different from the Dodgers message? Funny comment, are you aware what Dodgers just did? MK, Beeston has changed his tune lately, but again I think that actions speak louder than words. If they ramp up the spending in the off-season, then I'll believe it. Probably too much to get into in a comment thread, but there are plenty of differences between the two teams when it comes to revenue opportunities. For example, the Dodgers are approaching signing what will likely be a MASSIVE TV contract for their marketplace, and the Jays do not have that revenue stream. The Jays just are in a different league in terms of $ than most big market teams. Thinking they go huge in free agency seems unrealistic, but I would love to be proven wrong. The Dodgers already signed that TV deal did they not? When you take the fact that there are two LA teams and the blue jays draw from across Canada the BJ's market, realistically, is one of the largest in the league. The issue is Rogers owns the team and the channel that has the rights to broadcast the teams games so there isn't a large cheque exchanged between the two. There is still the incentive to field a good team though as the fee they can charge on sportsnet for advertising is linked to the quality of the team that they can field by way of: More compelling team, more viewers, more they can charge for advertising. The Toronto Blue Jays may suffer from some things – 'small market' is not one of them. Not quite. Revenue from TV is not strictly X people= X valued market. The problem with treating Canada as an equivalent market is the distribution costs and ad bases are not near equivalent. Essentially a viewer on a TV deal like the Dodgers is worth more than a viewer for the Blue Jays. Combine that with the inability to benefit from the natural overpayment that comes from market competition and, actually, the Jays are a mid market team from revenue standards. You are right in saying that Rogers owning the team means a large cheque does not get swapped. But you are wrong in suggesting more viewers = higher ad rates. In theory that is possible, but right now the Jays are a horribly under-advertised commodity. Proof? Watch a Jays broadcast and count how many times per commercial break you see an ad for the team or a Sportsnet program (radio or TV). Those are unsold ad spaces. Networks place their content there to fill up unpurchased spaces. The Jays have room to grow money for sure, and certainly have the ability to increase payroll. But Toronto is not a major revenue market for baseball. Not until you hit the point of consistently selling out the stadium. Sorry. Distribution costs? What do you mean by that? Also, I never said 'revenue market'. I said market. period. It's up to Rogers how to effectively leverage that market but it is there for them to use, or not, as they choose. Small(ish) attendance at Rogers Centre is meaningless in this conversation for that reason. Sigh. No. If your point is Toronto and area has a lot of people. Fine, that is obvious. Market size is only relevant in discussion of Toronto as a revenue market. Both potential and actual. Agreed it is on Rogers to leverage that to the max, but to brush that off as "their business" is silly. That is what we are talking about. This team will spend on players as revenue justifies it. The size of your market is how much $ it generates, not how many people, although those two are obviously linked. If Toronto is not producing a high $ to people fan base then why would Rogers spend? The companies advertising right now are generally smaller $ or Rogers owned. Compare the quality of advertisers on Blue Jays broadcasts to hockey. Way smaller scale. Unless Toronto proves it can generate greater corporate support and more fan support (in actual $) there is no motivation for Rogers to pretend it is anything other than a mid-market operation. There's some good discussion here guys, and this seems like only the tip of the iceberg when it comes to revenue streams, etc. It might actually warrant another blog post in itself, but it sounds like there are a lot of working parts going on in both LA and Toronto. Agreed. I was not trying to soft sell when I said it was probably too much for a comment thread. I would love someone to really dive in to the overall business plan of this team. But that would be a huge project. Hope someone is up for it. Perhaps a project for the off-season! Well I think we are discussing two different things and may actually be in agreement. I am saying the market size is one of the largest in the league for the Blue Jays. You seem to be saying that the revenue that the Blue Jays are currently producing seems to be about mid-market. I can't argue with that but just different from what I was arguing. The rest boils down to an "if you build it will they come" kind of thing and from my perspective – if the Blue Jays do make a splash, they will come. Toronto used to sell out every home game back in the days before Sportsnet and when Toronto was quite a bit smaller than it is today. Still though, and maybe I am the only one, I am not that disappointed in 2012. Sure, I was hoping they would compete for the wild card and stuff, but I mean – the injuries they have suffered are pretty unprecedented. I don't know. I certainly don't have any illwill towards management or anything. I think the injuries exposed the weak link of depth at the top end of the minors that we have/had. I think in 2013, the top talent will be much deeper to cover a normal years injuries much better than this year. I think the depth gap can be attributed to the end of JP's reign and looking further ahead, right now we will have good prospects to draw from to fill in for injury call-ups going forward. I think we need a starter or two and an end to the Lind era and stability at 2b and LF but other than that I am feeling pretty good about this team. I'm not saying that all is doom and gloom moving forward for the Blue Jays. Even by getting healthier, the team immediately becomes better going into 2013. But like you said, the injuries did uncover a lot of weaknesses (left field, DH, starters, etc), so hopefully those issues will be addressed via trade or free agency in the offseason. I thought your post provided a good perspective on the team and it's finances, however I disagree. To go back and re-quote your quote "We didn't see a robust free agent market, and we didn't see other trades." I'm willing to bet that the Blue Jays' front office saw the same thing too. They recognized (at the time) that they needed to replace the pitchers who they lost to injury. And they did so. 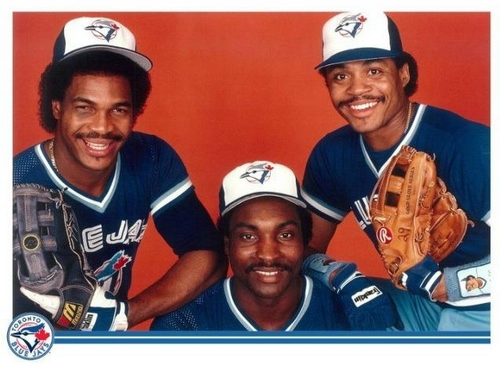 In fact they made three trades, all which allowed them to acquire pitchers, which is what they needed. However, the injury plague started to harm their offense, with Bautista, Lawrie, Rasmus and Arencibia all going down with injuries. In short Toronto does not need to go out and buy players who will eat up their salary space. They have a good bullpen, the have a moderately good rotation, and they have great hittting and solid defence. What killed their team this year are the plentiful injuries they sustained, that will kill ANY teams playoff hopes, regardless of the sport or team. I think you just may have uncovered the answer – the Blue Jays have a moderately good rotation, but not a GREAT rotation. It's going to be tough to upgrade the rotation with arms within the organization, so I think they're going to have to go outside – whether it be via trade or free agent signing. There are just too many question marks in there (Romero, Alvarez and maybe even Villanueva) to take the same guys moving forward and expect much better results.